It was in the middle of Spring when all the flowers and the grass grows back and blooming. 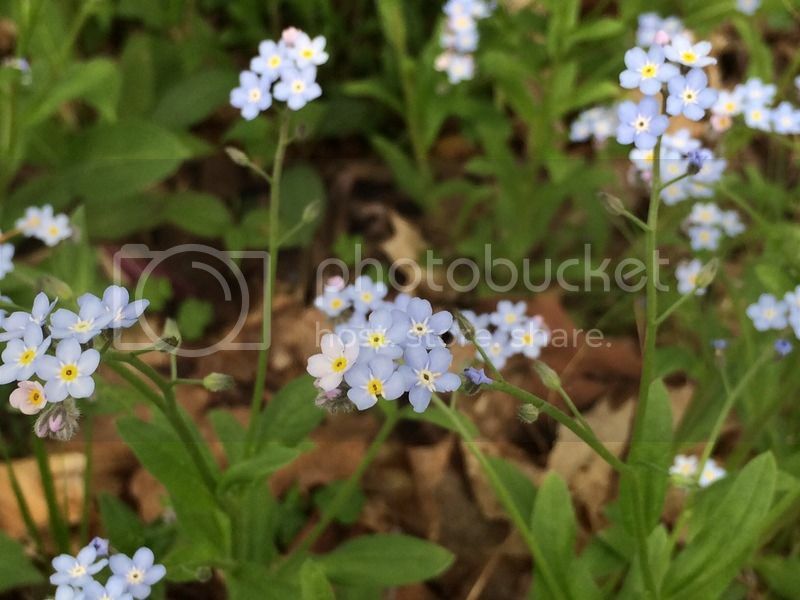 This time I've never noticed as many Forget me not flowers in our yard from last year. It must be the sunlights they get after we cut down 3 trees. It was very nice, they grew and bloom to where my husband's grandmother planted them. If only the yard is clean and all those big logs were gone/chopped it would look awesome. Can't wait to work on the yard this non-rainy days, it would look great after we clean them. 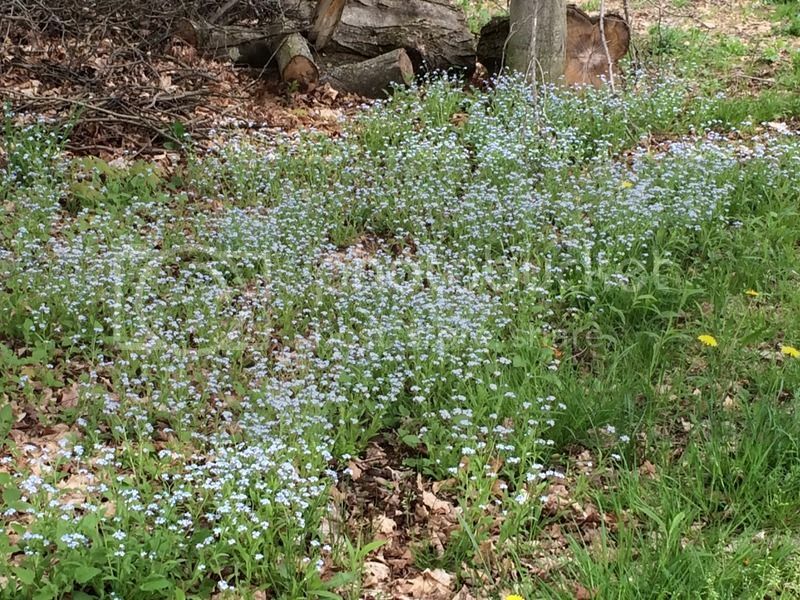 As for now, I took a nice bed of Forget me not flowers to motivate me to clean the spot for the next year.